A study of whether Fairfax County Public Schools should set a later start time for high schoolers will not be completed as soon as school board members had hoped. 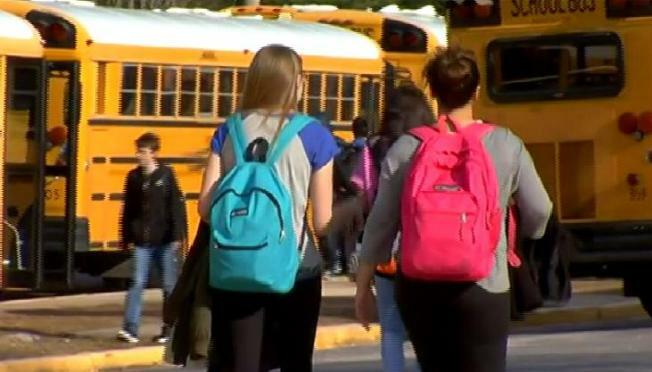 That was the report Monday from a team of researchers from Children's National Medical Center who are working with school officials to develop a proposal. They say their medical conclusion is clear: a later school start time is critical to student health. Right, now many Fairfax County high school students are up by 5:30 a.m. in order to start school at 7:20 a.m. The researchers say many of these students are getting just 7 hours of sleep a night when they need at least 9. But the study team says changing school schedules is more complicated than they imagined. "There so many different stakeholders in the community, in the schools, students, parents, after school employment, after school child care, traffic. There's so much complexity to this," Dr. Judith Owens, a researcher from the Children's National Medical Center, said. "I think if Fairfax County can do this, it will be a real beacon for the rest for the country." Some school board members expressed disappointment that the delay could jeopardize a change for next year. "My greatest disappointment is the time line," Megan McLaughlin, one of the three school board members who has children in high school, said. The study team told the board it has several months of work ahead. They want to gather more community input, then develop two or three possible bell schedules to start high school later. They must recommend whether to phase-in a start time change or whether to do it district-wide. Town hall meetings on the specific plan would be set up in the spring. Another big factor in moving ahead is the district's projected budget deficit. "A phase-in would have less impact on system and lower cost over time," Fairfax County School Superintendent Karen Garza said. "Our primary issue is the fleet and the number of buses." Several school board members urged their colleagues to consider moving ahead with at least a phased-in bell schedule change next year. "I'm reticent to say if its not perfect and can't do it all this year we should do nothing," board member Elizabeth Schultz said. "It's better to do something rather than leave all students at sleep deficit." Many parents picking up their children outside Robinson High School expressed support for a later time. "I'm glad they are at least talking about it and having a dialog because for him it's impossible getting him in bed at night and out of bed in morning," Chrysta Nightengale said as she sat next to her freshman son in the car. Another mother, says she's sorry to hear about the delay. "It is extremely frustrating because it seems like it's taking much longer time to come to a conclusion about starting times," Kathryn Trask said. "It's a struggle, it really is."